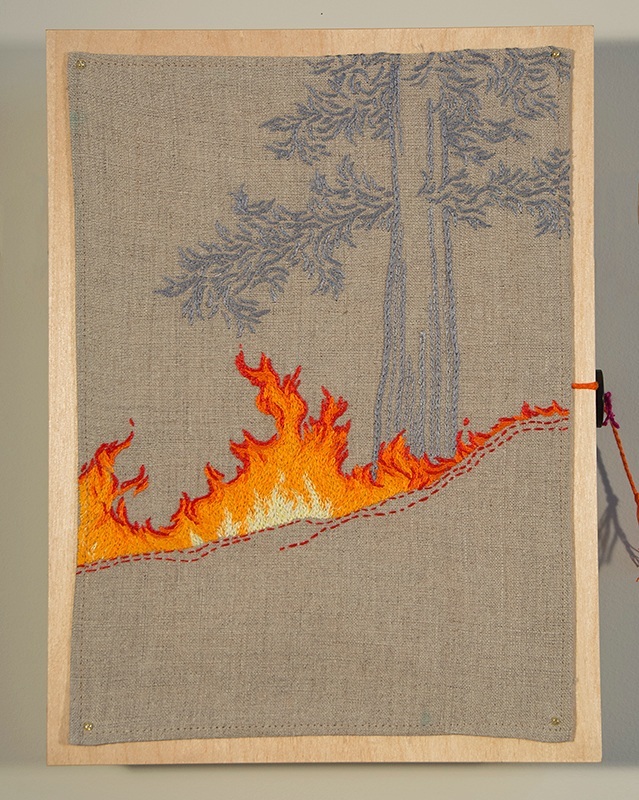 I try to plan the work so that it has a presence at a distance, but I also include a lot of detail –embroidery IS about detail. The different surfaces of fabric and thread shift as the light does or as you move by them.These pieces will last for generations with some minimal care. They are mounted on stretchers and ready to hang. Click on image for details/prices. Please email me if you have questions.